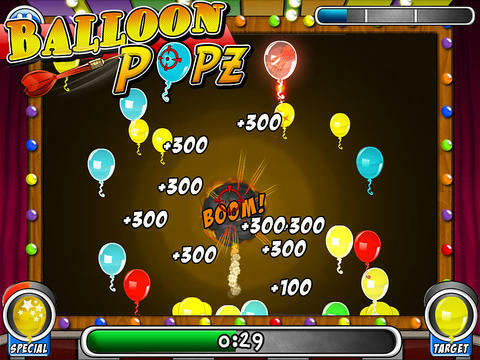 Balloon Popz take the classic carnival game and amps up the intensity with 15 levels of balloon popping fun. 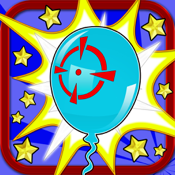 Unlock an array of upgradable power ups like Freeze Balloons and Spread Darts. Gameplay Tip: Press and hold to throw the darts faster and straighter to really rack up the high scores!